Hey, Hi and HELLO! 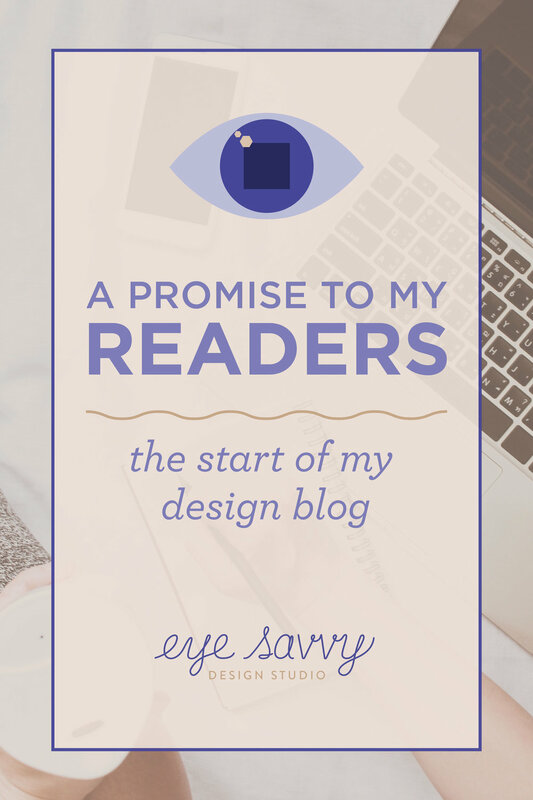 My name is Kiki and for the start of my design blog, I want to make a promise to my readers. Before I give you a little background story, let me start by saying that I am a BRAND SPANKIN' NEW BLOGGER. I am constantly learning something new every day and although it can be overwhelming at times, I'm enjoying every moment of it. If you're a new blogger like me, welcome! You're not in this alone and I promise to share everything I learn along the way. If you're an experienced blogger, I would love to hear any advice that you would like to give or share and thank you in advance for taking the time to read my first blog post. Growing up, English class was on the more difficult side for me. I loved taking books home and getting lost in the stories but I had a very hard time with sentence structure and grammar. I never thought that one day I would make writing a part of my career but as I got older, I started to see the value in it. Now that I am starting my own blog for EyeSavvy, writing these posts has brought me to a place I never thought I would go or could be. At first, I started this blog for SEO purposes, but it has evolved into so much more for me. It has become an outlet for my emotions and my thoughts. I love the idea of giving my readers information that can help them with their brands and small businesses. I've been in the industry for over 8 years and have been involved in the arts since I was a tiny, little, curly thing. Throughout all that time I have grown immensely. Because what is life really? Other than just a BIG GIANT LEARNING EXPERIENCE? - I've switched my major (in my head) at least 7 times. - Went from being the least skilled designer to one of the best in my class. - I've bombed interviews, nailed interviews, got hired and got fired. - My first couple freelance clients turned out to be the worst clients (...then I got some good clients). - I switched cities to the other side of the country. I'm ready to make my own rules. Although I have a successful career, I know I truly will not be 100% happy until I am working from home with clients that I love to work with, in my beautiful, bright and colorful studio (that I decorated and designed of course) with coffee in my hand. I'm ready to start what I've been dreaming up for years. EyeSavvy Design Studio. Having those horrible clients in my early years scared me away from being a freelance graphic designer which lead me to get a 9-5 (in NY or LA, it's more like an 8-6). But I wouldn't have had it any other way. These jobs have given me experience and the proper skill-set I need to successfully start my business and I am beyond excited. I know I'm just starting, I may not get any traffic at first and I'm ok with that. It's all about the journey and the experience. Like I said before, I'm learning something new every day and this blog will continue to evolve just like I am. As a branding expert, I know it's important to set design guidelines early on so that the design for your blog always remains consistent and memorable. In this case, it's different because I'm not an experienced blogger. Every day I go back and forth about what my headline should be... Should I use a photograph for my Pinterest ad? Do readers enjoy gifs? Sans serif or serif font for my body copy? Even though all the pieces of the puzzle aren't figured out, I've been writing and writing posts that I haven't released yet because I want to make sure I always have content releasing for my readers consistently. (Beginner Blogger Tip #4 - Always release your posts consistently. Whether it's every other week, or once a month, give your readers something to look forward to and make a commitment). I have a lot I want to share! I'll be writing about branding for small businesses, design, marketing, social media and most importantly: life! I truly believe that your business cannot succeed unless you are grounded and successful in your personal life. I've enjoyed many powerful and inspiring audiobooks that have helped me grow as a person and I know I would not have the courage to write this blog if it wasn't for these genius authors. Read these books or listen to the audiobooks in your car or on your way home from work. I promise that it will be beneficial. I know what your thinking... "Come on Kiki, will things like meditation and self-help books really help me run my business?" I promise you they will!!! Before I start strolling this content out on the 1st of each month, I want to make a promise to my readers. ALWAYS BE GENUINE IN EVERYTHING I WRITE. CREATE POSTS WITH MEANINGFUL, SHARE-WORTHY CONTENT. SHARE ALL OF MY PROFESSIONAL LEARNING EXPERIENCES. ALWAYS RESPOND TO YOUR COMMENTS. All in all, show you that I care. Lots more to come. Check back on the first of the month to see my first lengthy post, "8 Things Every Successful Brand Must Have". It includes a FREE 28 PAGE WORKBOOK that I guarantee will help you grow your brand.